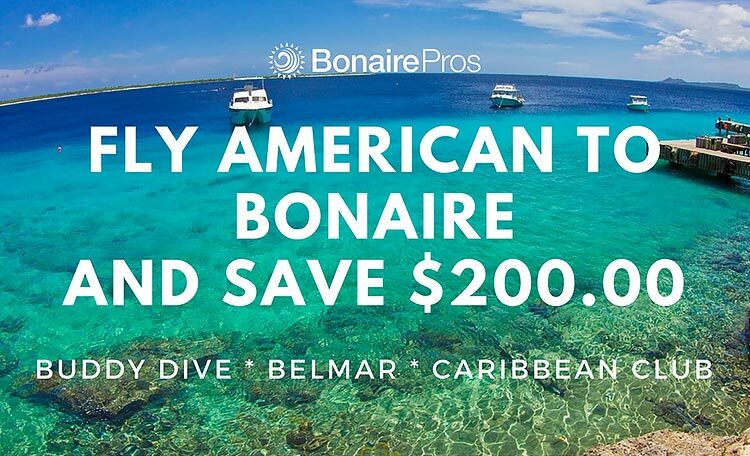 Bonaire Pros Great American Rebate is Here! 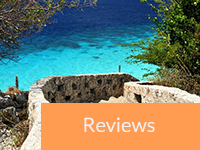 Save $200.00 on a Drive and Dive package at either Buddy Dive Resort, Belmar Oceanfront Apartments or Caribbean Club when you fly American Airlines’ new non-stop service to Bonaire. 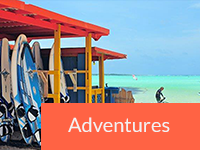 Celebrate American Airlines new non-stop service from Miami to Bonaire with this unbeatable offer! 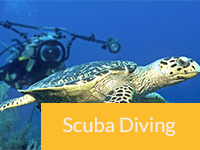 Fly American Airlines to Bonaire and Book your Drive and Dive package at Buddy Dive Resort, Belmar Oceanfront Apartments or Caribbean Club Bonaire with Bonaire Pros (maximum $200.00 rebate per 7 night or longer package booking including room, rental truck and diving). 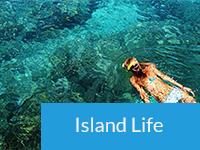 Requires proof of purchase of American Airlines ticket to Bonaire (purchase any way you like) along with 7 nights or longer Drive and Dive package (package must be booked through Bonaire Pros). Other promotional discounts may not apply. Offer valid for new package bookings and flight purchase only. Travel valid from Jun 9 to Dec 21, 2018. Blackout dates of July 7-14; Oct 6-13; Nov 17-24, 2018. Packages must be booked as well as flights purchased by May 25, 2018. 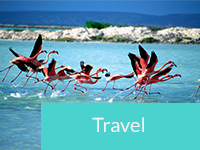 All taxes, VIP travel assistance … and more.